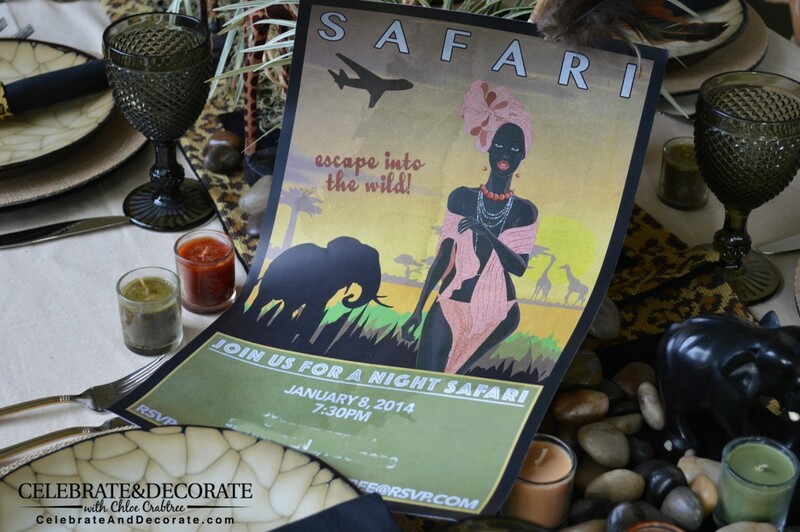 This post is about the invitation for the dinner safari party I hosted some time ago. 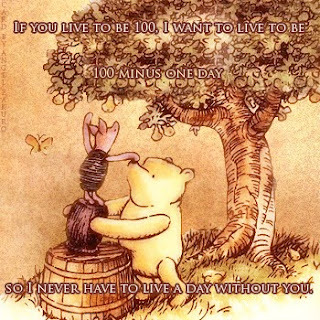 – check it out if you haven’t seen it. 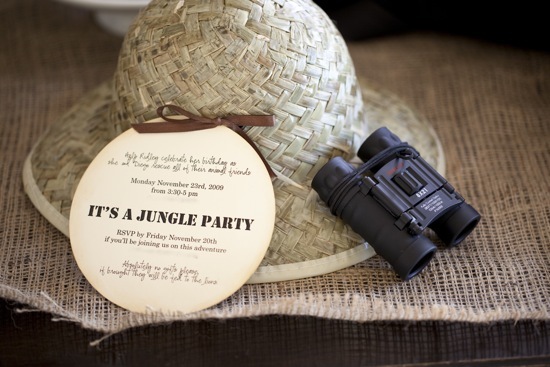 I had been wanting to host some kind of Safari-themed party for such a long time that I had mulled all kinds of ideas about what I could do. I love an invitation that sends a message to my guests about what kind of event they will experience. 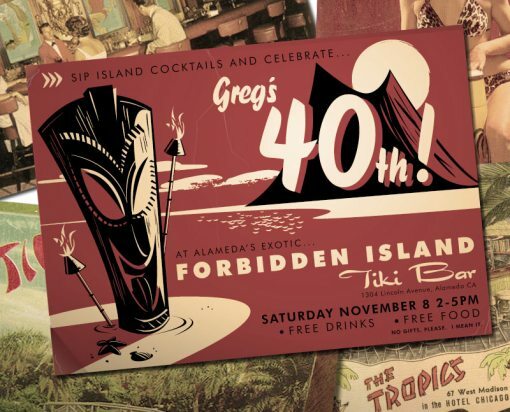 A unique invitation is a great way to get your guests excited about the party before the day of the event arrives. None of my ideas were really making me swoon. 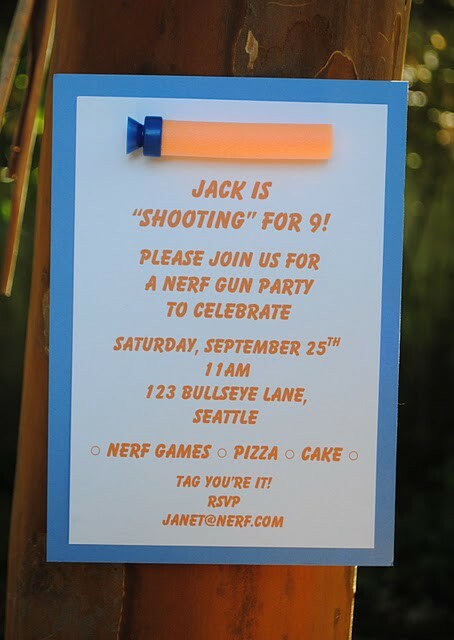 Searching the internet turned up a few great invitation ideas, but they were all really geared to children’s parties. I reached out to Treasured Invitations who have created some amazing invitations for me in the past. After describing the event, they suggested a vintage travel poster. What a great idea it was! 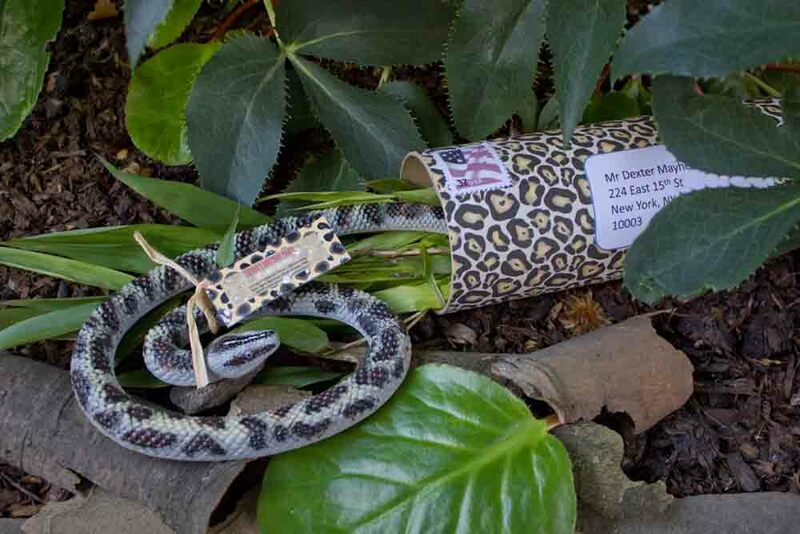 This invitation I discovered might be right for your party, but I am not sure my friends would have been thrilled, even with a rubber snake coming out of that mailing tube. The two invitations above were really cute, but once again, cute was not what I was going for. 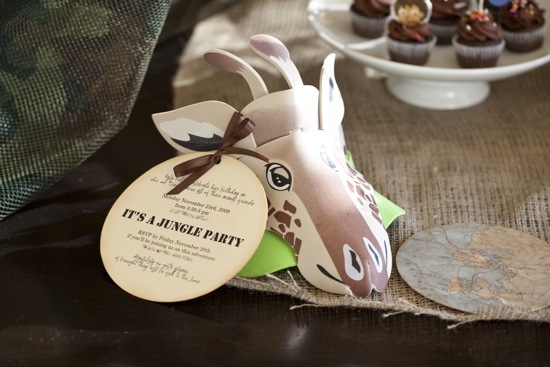 If you are planning a kids’ safari party, these are great! Brittany over at One Charming Party was really creative with these! 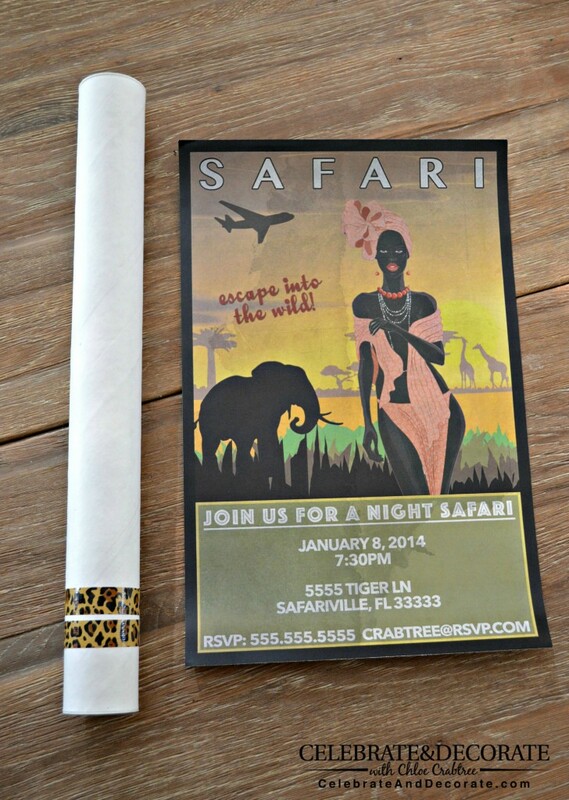 I mailed out my invitations in mailing tubes which were decorated with just a touch of animal print duct tape to give just a hint of what might be inside (no rubber snake necessary). I know I would be thrilled to receive an invitation like this! Delight your guests and get them in the mood for your party with a unique invitation. No matter what theme your party may have, get creative and have fun! what a great party idea for the winter doldrums, everything is very clever! Sophisticated for sure and Beautiful! Who wouldn’t be thrilled to get an invitation like that! Everything about this is awesome!!! Thanks Latasha! I had wanted to host this for so long!